One of the most varied productions to date with examples of railways which were hand trammed, horse powered, cable hauled, battery electric, and diesel loco hauled. 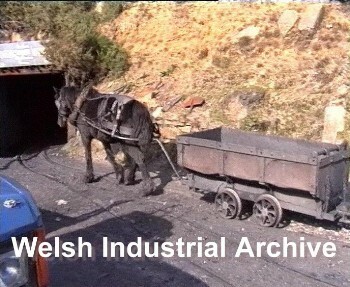 Numerous examples of small private coal mines have been captured, including two examples of horse worked collieries at Nant-y-Cafn, and Pentwyn No3. 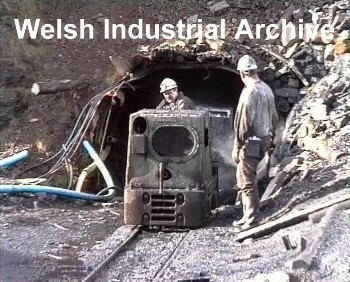 Also the well known Parc Level Colliery seen with the Ruston locos in operation. 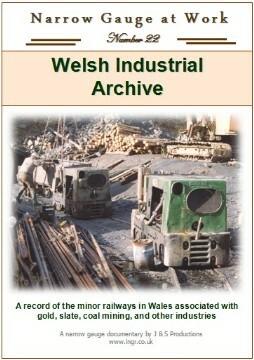 The last two railways connected with the slate industry are seen with battery electric locos at Maenofferen and Aberllefenni. 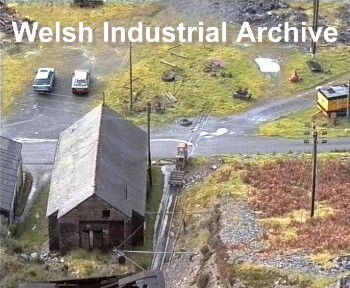 Railway operations associated with gold mines in mid Wales are seen at Gwynfynydd Mine and Clogau Mine, plus scenes from other mines in the area. 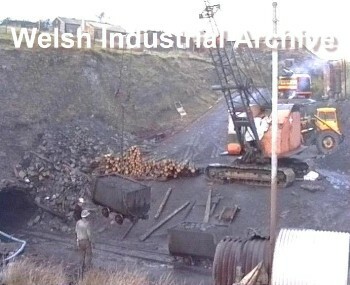 Outside of the mining industry, the 2 narrow gauge systems at Shotton Steel Works are seen in operation with both Hudswell Badger locos and Hunslet locos. An obscure railway in nearly daily use at the small village of Solva allows access to a water treatment works through a 200 yard tunnel with a unique battery loco built by Bradshaws. 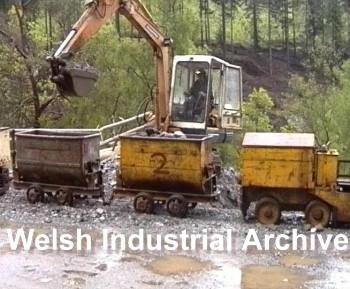 In 2005, a rake of 4 tubs or drams, winched to the surface at Nanthir No2 mine, one of the last surface railways serving the private mines of South Wales. At Parc Level Mine, one of the Ruston locos emerges from the adit with a load of coal for tipping. Filmed in 1992. At Parc the tubs were then uncoupled and attached by a series of chains to a crane that picked up the tub and tipped the coal onto a stockpile. Looking down from a disused incline onto the working adit of the slate quarry at Aberllefenni. 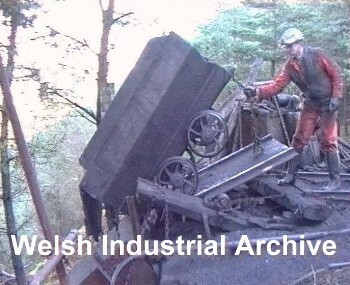 The battery loco had just hauled out a slate slab which was transported to the nearby mill. At Darrell Mine the drams were usually hand trammed out of the adit, although horses did work underground. This was filmed in 1994. 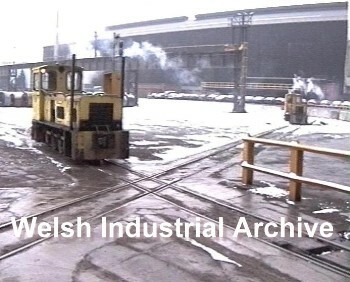 In the snow in 1994 the Hudswell Badger locos were at work in the steel stockyard at Shotton. 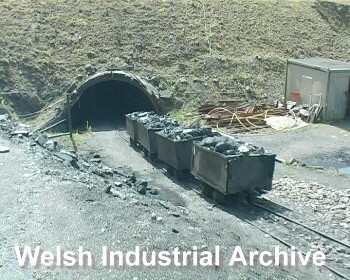 Turbo hauling several loaded coal wagons out of the mine at Nant-y-Cafn in 1993. At Gwynfynydd Gold Mine a Clayton loco waits while tubs are filled with gold ore to be taken back into the mine for processing. Seen in 1996. 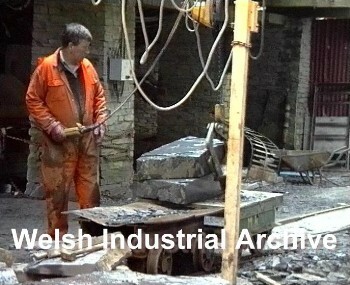 At Maenofferen Slate Mill the last battery loco moved slabs of uncut slate from outside of the mill to the cutting tables. 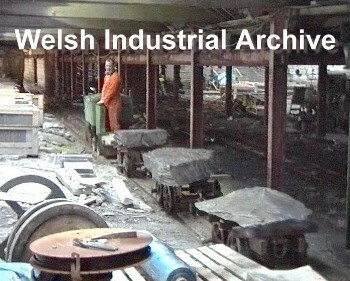 Inside the mill, after cutting to size on rail mounted cutting tables, the slate was moved using hand pushed flat wagons to the splitting and dressing positions. 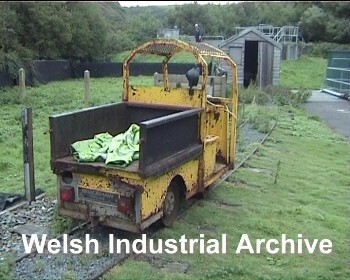 The strange battery loco built by Bradshaws, still in use for servicing the water treatment works at Solva. 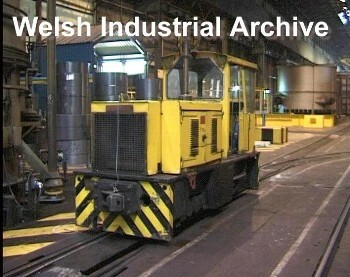 A relatively modern Hunslet loco serving the annealing hall at Shotton Steel Mill. The scenes were fillmed in 1997, but the system was still in operation when this DVD was produced in 2005. 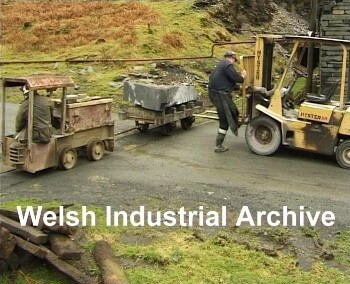 At Aberllefenni, once a slab of slate had been transported out of the mine with the battery loco, a fork lift track was used to move the load to the mill for processing. 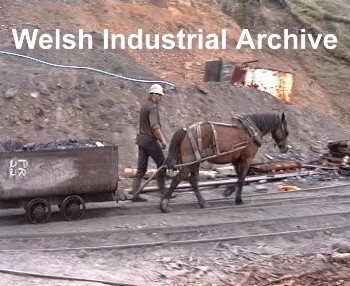 Prince leads three horses back into the coal mine at Pentwyn No3, each pulling two drams to a halfway point where further horses would take over.